As one of the largest tourist destinations in the United States, Kissimmee provides far more drivers than just the regular population. The city has a regular population of approximately 67,000 residents. It's a part of the Orlando-Kissimmee-Sanford Metro area, which has a population of more than 2.2 million residents. Kissimmee is also a part of Osceola County, which has a population of just under 300,000 residents. Along with the regular residents found within the area, the city is home to Disney World, provides spring training for the Houston Astros and provides a number of other tourist attractions and resorts throughout. The many attractions bring millions of tourists to the area every year. More than 50 million tourists visit the Kissimmee and Orlando every year. This brings a large number of drivers unfamiliar with the area and their unique driving styles to the area. With so many different types of drivers, the roads become more dangerous, especially during peak season. Kissimmee is home to one of the largest tourists attractions in the world, which brings millions of additional people to the area every single year. With a large metro population and millions of tourists, the roads become rather congested during peak season. Kissimmee is served by Interstate 4, Florida's Turnpike, US 192, Osceola Parkways, US 17/92 and US 441. I-4 is rated as the third deadliest highway in the United States and carries more than 183,000 vehicles every single day. Lost tourists cause traffic issues throughout the area all year long. Traffic accidents in both Kissimmee and in Osceola County are on the rise. Law enforcement officials have to enforce traffic laws or the statistics for the roads in Kissimmee would be far worse. Throughout Osceola County, law enforcement officials issued nearly 51,000 traffic tickets in 2015. Out of those tickets, over 29,000 were handed out for speeding and another 7,400 for ignoring a stop sign or running a red light. About 3,300 tickets were also issued for careless driving. Only about 6% of the total number of tickets issued were dismissed by a judge. Your chances of getting out of a traffic ticket are very slim in Kissimmee, Florida. In the State of Florida, you don't have the right to drive. Instead, it's a privilege and it can be taken away if you get too many traffic tickets. Each ticket comes with points, which go on your driver's license. If you rack up 24 points in a 3-year period, you will be subject to a 1-year suspension. 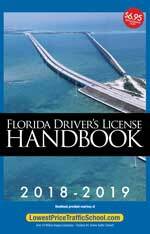 Those getting 18 points in 18 months will lose their license for 90 days and even just 12 points in a 1-year period means you'll lose your license for 30 days. It only takes a few tickets to rack up enough points for a license suspension. However, you can avoid points from one ticket per year by taking a basic driver improvement course online. 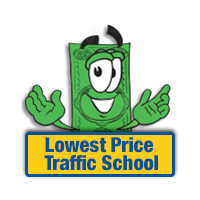 Traffic school online allows you to avoid the points from going on your license. This will help in two ways: one, you won't have to worry as much about getting your license suspended, and, two, your insurance rates won't go up. Start by pleading no contest or guilty to the violation and pay the fine. When you pay the fine, inform the clerk of the court of your plans to attend online traffic school. Now all you need to do is enroll in the basic driver improvement course online, complete the course and earn your certificate of completion. This can all be done from your own home, at your convenience. Once you complete the course, you will need to turn your certificate of completion into the clerk of the court. The eligibility requirements for using traffic school to avoid points on your license in the State of Florida are pretty straight-forward. Drivers are allowed to use the basic driver improvement course up to five times in their lifetime and up to one time per year. If you haven't taken the course in the past 12 months or 5 or more times in your lifetime, you're eligible for traffic school. All traffic tickets issued in Kissimmee are handled by the Osceola County Clerk of the Court. The clerk of the court will take payments and your traffic school certificate of completion. You can find out more about the Osceola County Clerk of the Court by visiting their website.